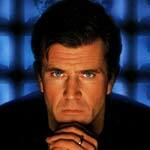 Plot Synopsis: Tom Mullen (MEL GIBSON) is a wealthy executive whose life is suddenly shattered when a gang of ruthless criminals abducts his young son and holds him for ransom. 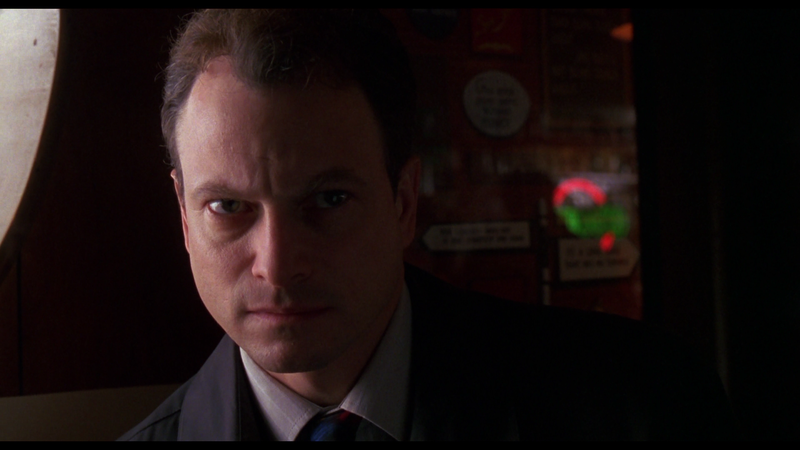 But it’s the kidnappers (GARY SINISE, LIEV SCHNEIDER, LILI TAYLOR, and DONNIE WAHLBERG) who are shocked when Mullen boldly turns the tables in a last-ditch effort to rescue his boy despite going against the strong advice from FBI Agent Lonnie Hawkins (DELROY LINDO) and Mullen’s own wife, Kate (RENE RUSSO). 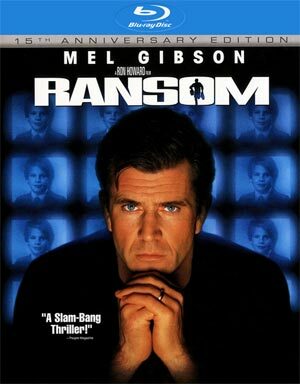 Quick Hit Review: Spurred on by great and heartfelt performances from Mel Gibson and Rene Russo, who reteamed from Lethal Weapon 3 and would follow this with LW4, Ransom is a well pace, highly thrilling suspense drama. Even though it is a bit lengthy clocking in around two hours, it never seemed to lag in pacing the director Ron Howard manages to keep the suspense consistent throughout even though the story itself is fairly simple, in which there’s no mystery as to the who and why the kidnapping was done. All the features from the “Special Edition” DVD have been ported over. Also, the cover is labeled as a 15th Anniversary Edition even though it’s actually been 16 years since its release… Maybe because it came out in November, it still is within the 15 year range? Feature Commentary – Ron Howard provides a fine track giving information on how he came to the project and insights into different shots, locations and working with the cast. It’s not a special track or even memorable but decent enough. Deleted Scenes (3:53; SD) – Four scenes are included, none of which are particularly special and some reiterates information already relayed. What Would You Do? (13:16; SD) is a featurette where the cast and crew talk about how the project came about and provide info on how certain scenes were shot. It’s a pretty basic EPK feature but it’s better than others I’ve encountered. Between Takes (4:00; SD) – This is just some “fly on the wall” feature showing the cast and crew on the set in between shots. 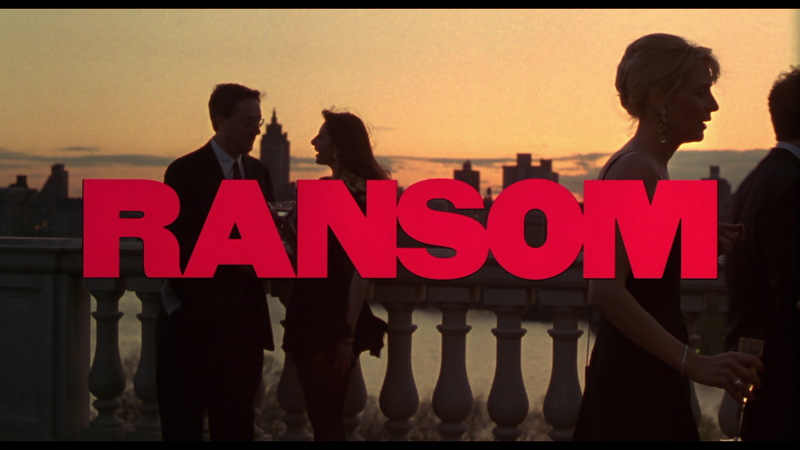 Buena Vista’s video transfer for Ransom is a mixed bag. 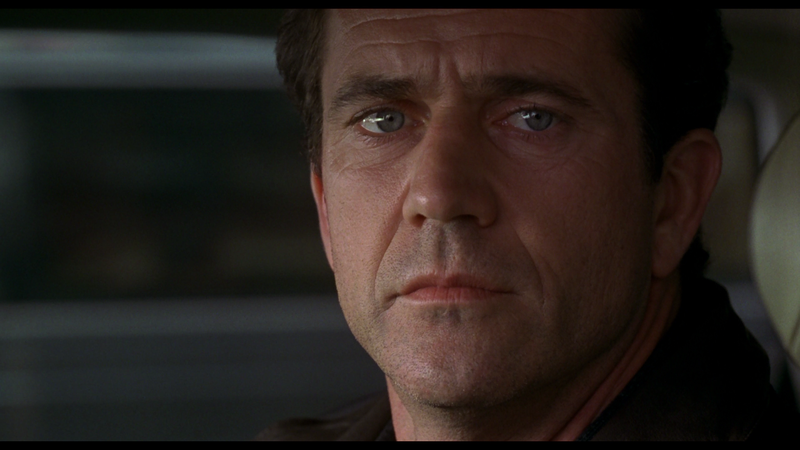 First, the film is presented in its original 2.40 widescreen aspect ratio and 1080p high-definition and mostly looks good with some decent detail levels throughout. However, there are a few issues including some artifacting in places and I also suspect that edge enhancement might’ve been used. That said, it’s a good upgrade over the DVD version. The 5.1 DTS-HD MA track isn’t spectacular but effective. The dialogue levels do sound nice and clear while the action scenes provide the depth for the lossless track. Again, I don’t think it’ll blow your socks off especially since the LFE channel is light, but it should provide a nice aural experience for the home theater. 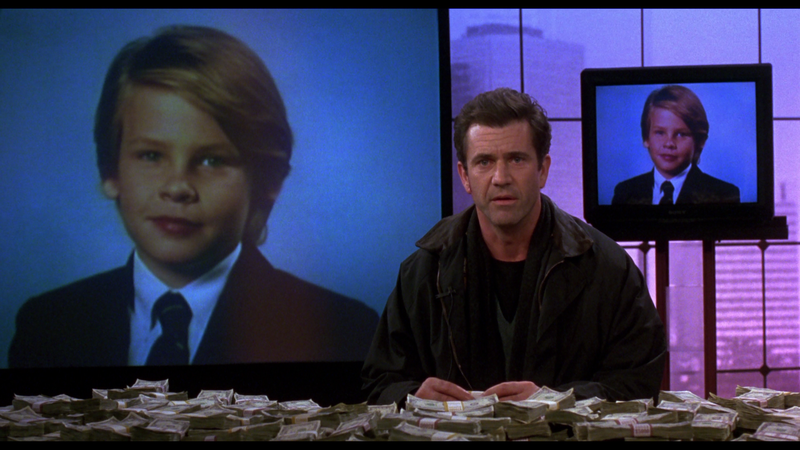 Overall, Ransom is a well made crime-thriller propelled by some great performances from Mel Gibson and Rene Russo and the story never gets old or is overly complicated and instead plays it straight as a thrilling cat-and-mouse game. The Blu-ray has some OK features while the audio/video transfers are adequate and are worth and upgrade for the right price.